Reading a book on acupuncture at the age of 10 sparked a lifelong passion in me to help people live a fuller, healthier life. It was clear to my parents and teachers that I would be a doctor. I went to the He-Peng-Li Hospital in Beijing for training in acupuncture, herbal medicine, basic anatomy and physiology; at 17, I was one of China’s many ‘barefoot doctors’, bringing health care to rural areas. Thanks to their encouragement and support, I now have 30 years of experience in both orthodox and traditional Chinese medicine. I graduated from China’s Beijing Medical University as a Doctor of Medicine and went on to become Senior Doctor at Beijing’s Chao Yang teaching hospital where I taught clinical medicine, including Chinese Medicine, to students of the Capital Medical University. I had Post Graduate training in integrated fertility care under gynaecology and obstetrics professor Lin Xin Jain of Beijing’s Fu Xing Hospital. Here, we used Western medicine for diagnosis, but Chinese Medicine, acupuncture and nutritional medicine for treatment. 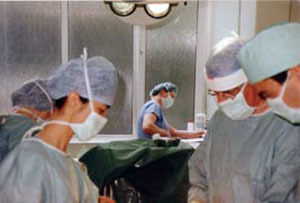 Later I came to the Edinburgh Royal Infirmary as a visiting doctor and in 1998, I was awarded a PhD in Medical Research at Edinburgh University. 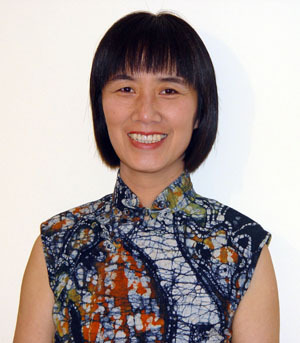 I have been a Member of the British Acupuncture Council since 1991 and a Management Committee Member of the Acupuncture Research Resource Centre for five years. I was awarded practicing acupuncture privileges by some of the finest NHS and private surgeries and by the London’s private Lister Hospital (1996). Without that book, I might not have my other passion in life: my family. I treated myself for fertility at the age of 42; a successful pregnancy and a baby daughter soon followed. My teenage daughter is a daily reminder of how acupuncture can restore our natural state of fertility. For this reason, problems with infertility have a special place in my heart.